You might have heard that very recently Google has launched their DNS over TLS which is based on their Google Public DNS service the most commonly used DNS recursive resolver worldwide. Although the service is now available however, you still can’t use it on your Windows 10 OS since Microsoft didn’t add the support yet. Linux OS like Ubuntu supports DOT. Firefox’s Nightly browser which is dedicated to power users or developers already have the support for DNS over HTTPS (DOH) and upon testing it I could clearly see no indication of any plain text in my wireshark traffic for the websites that I have visited. 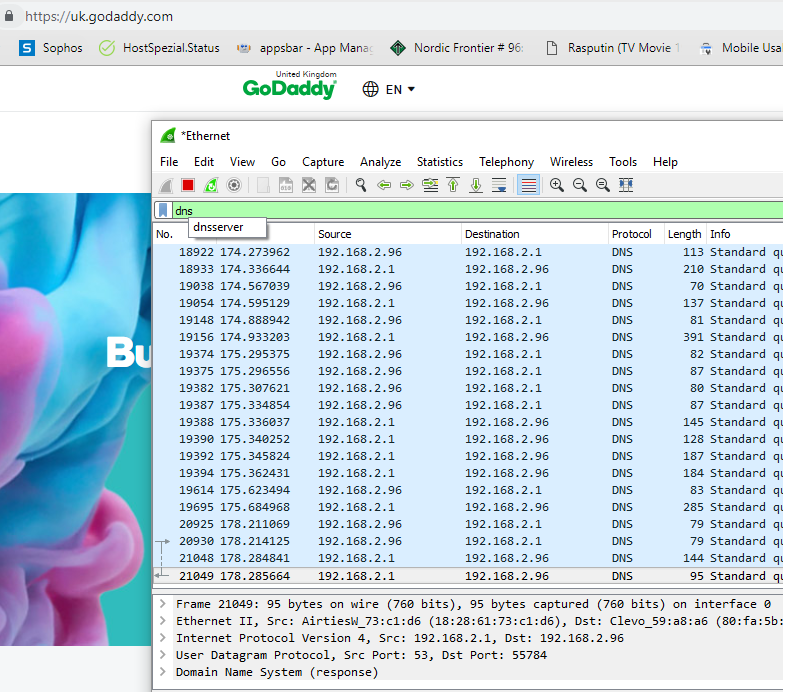 I used Godaddy.com as an example to see if whether Wireshark would show the requested website in the DNS filtered traffic. Using Firefox Nightly, didn’t show any DNS result in Wireshark. visiting Godaddy.com on Chrome gave a different result. Here everything is clear text. Although I am using Simple DNScrypt app but still exposes the DNS traffic. Even if I changed the DNS settings on my NIC to 1.1.1.1 (cloudflare’s DOT) it would still show the result on Wireshark. How to secure your Windows 10 ? Lots of tools out there that support Dns over TLS, one of them is dns simple DNSCrypt which uses the protocol dnscrypt. The application can be used temporarily or as a service. I have installed the tool on my Windows 10 as a service and ran a test to see if resolving Google or any other domain would come as clear text but result was negative.